Whether a simple fender-bender or a serious collision, a car accident is typically a traumatic and chaotic experience. The difficulties encountered while navigating the post-accident scene can be exacerbated, however, if the collision was caused by a drunk driver. It’s not an unusual situation. In Santa Ana, almost 10 percent of accidents that caused injuries or fatalities involved alcohol in a recent year. Of those 232 alcohol-related injuries and deaths, 11 were caused by drivers who had yet to turn 21, and 89 were younger than 35. How should one handle such a situation? Here are five best practices if you’re in an accident with an intoxicated driver. It is true in any accident: Safety is first, for everyone concerned. For yourself and your passengers: If possible, move your vehicle from the roadway, turn on your hazard lights, and set up flares or cones to warn other drivers to slow down. Assess any physical injuries to you or your passengers. Occupants without serious injuries should exit the vehicle, move a safe distance from the roadway, and supervise any children present to protect them from being struck by another vehicle. When first responders arrive, allow yourself and others to be medically evaluated, even if you do not “feel injured.” Shock and trauma may mask the symptoms of medical problems and some symptoms may not appear until later. For the drunk driver and passengers in his or her vehicle: If the driver is not being combative or noncompliant, assess his or her injuries as well, and check on passengers in that vehicle. Promptly call 911 to report the accident, and let the 911 operator know about injuries to anyone involved in the accident. Render first aid if necessary while waiting for first responders to arrive on the scene. If the driver is behaving erratically or aggressively, back away and do your best to avoid escalating the situation; if he or she tries to flee the scene, don’t attempt to follow. Remember that it is not only unsafe, but also illegal, to leave the scene of an accident. First responders: For the safety of first responders, including police officers or emergency medical technicians, inform the 911 operators of your reasons for believing that there is a drunk driver on the scene. Inform the operator of the driver’s behavior, including whether or not he or she is behaving in an aggressive manner. If you are unable to relay this information over the phone, let the first responders know as soon as they arrive. Any observable behavior that leads you to believe that the other driver is drunk, including slurred speech, difficulty walking or standing, and erratic or aggressive behavior. Visible injuries to yourself, your passenger, the other driver, and his or her passengers. The license plate of the drunk driver’s vehicle. The damage to all vehicles involved. The location of signs, any obstacles in the roadway that may have contributed to the crash, and photos showing the weather conditions at the time of the accident. Any skid marks or debris left in the roadway. In addition to photographs, you should request the contact information, vehicle make and model, insurance, and driver’s license information from the other driver as long as you feel safe doing so. If not, you can request that information from a police officer investigating the accident. You should also collect the contact information of any witnesses. Emotions run high following an accident, and for good reason. If you’ve been involved in an accident with a suspected drunk driver, you may be tempted to give that person a piece of your mind. It is important to remain as calm as you are able, and not to be confrontational or to blame them for causing the accident; this can put the individual on the offensive and cause them to become aggressive. When police arrive and begin to take statements regarding how the accident occurred, don’t apologize or admit any wrongdoing. Just stick to the facts of what happened. The same advice applies if the drunk driver’s insurance company contacts you for a statement. In most cases, it is wise to speak to an attorney before providing any requested statements. As with any personal injury in which there is an insurance claim, or if you’re considering filing a lawsuit against the at-fault party, be sure to keep records of all medical treatments, medical bills, prescription medications, and transportation to and from the hospital or the doctor’s office. Journal all aspects of your medical care, including doctor’s appointments, rehabilitation procedures, and any problems encountered during your recovery. Document time missed from work due to the injury itself or because of doctor’s appointments as part of the follow up care you’re receiving for your injuries. Another item to record: bills for the property damage to your car. The majority of criminal drunk driving proceedings don’t go to trial, as the driver often chooses to plead guilty as charged or to plead guilty to lesser charges. However, if the drunk driver in your case was arrested and has chosen to fight the charges, you may be required to be present at all criminal proceedings as a witness and/or victim. If you are subpoenaed to appear and you do not, then you risk being found in contempt of court. 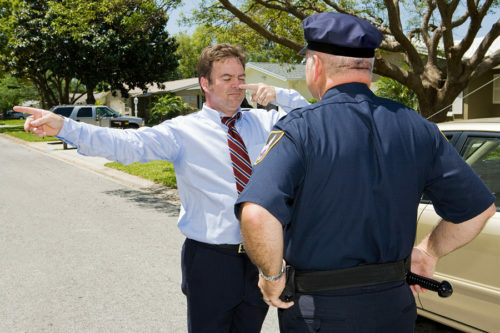 Bear in mind that a civil personal injury suit against a drunk driver is separate from criminal proceedings. Even if the drunk driver in your case was only charged with a misdemeanor and wasn’t subject to steep consequences, he or she may nonetheless be held accountable for the reckless behavior that caused your accident in the form of civil damages. Driving drunk is a breach in the duty of care that one driver owes to others on the road, and is a form of negligent and reckless behavior. If you’ve been in an accident caused by a drunk driver, you should be cautious in your interactions with him or her. As soon as possible after the accident, contact the skilled auto accident attorneys at Aitken * Aitken * Cohn either online or by calling (714) 434-1424 to discuss your next steps.